The Argan fruit originates from Morocco. Argan oil also known as "Liquid Gold" is produced from the kernels of the argan tree. Argan oil has been used for centuries by women across the Mediterranean in their beauty regimen. Other nutritional benefits that the Argan oil contain include Omega-6 fatty acids and Linoleic acids. I use two oils for my hair. Argan oil and coconut oil are my go-to oils for sealing in moisture in my hair. I mix equal parts of the two oils, and after I have used my hair moisturizer, I seal my hair with my oils. This method locks in the moisture leaving my hair soft and manageable. Argan oil is an amazing body moisturizer that leaves your skin smooth and soft. Mix argan oil with a carrier oil such as olive oil, sweet almond oil or coconut oil. Apply your oil mixture all over your skin concentrating on the dry parts such as elbows, heels, knees to reap its natural benefits. This hair treatment is best for hair that is dry and brittle. Warm up one and a half tablespoon of argan oil, massage the warm oil into your scalp for a few minutes (massaging helps to stimulate blood flow). After massaging oil into scalp, section hair into four parts and apply oil to one section of hair at a time. Apply oil from roots to tips, twist each section into a knot and cover with shower cap. The heat from your scalp helps the oil penetrate deeper into your hair shaft. In the morning, massage your scalp and hair for a minute and wash your hair as you would normally. Try this treatment once a week for beautiful, healthy hair. To heal cracked and chapped lips, apply a drop of argan oil to your lips to moisturize and condition. Argan oil is perfect for taming frizz and fly-aways. It also helps protect against the everyday heat of curlers, blow dryers and flat irons. Apply two to three drops of argan oil to damp or dry hair before applying heat. Argan oil can help prevent stretch marks. Warm two to three drops of pure argan oil in the palms of your hands and massage your hips, thigh, stomach or any problem areas. Argan oil contains Vitamin A and E which helps to improve the elasticity of the skin, making stretch marks less likely to form. Exfoliating should be a vital part of our skincare regimen; it helps to buff away dead skin cell revealing smoother, younger and glowing skin. You can make an easy at home skin exfoliator by mixing one tablespoon of brown sugar to a couple of drops of argan oil. Rub the scrub onto your face gently in circular motion for two minutes, if you have problem area like acne scars; pay particular attention to those parts of your face. Rinse with warm water and pat dry. You can use this scrub to exfoliate your body as well. Mix a bit more to give your body a scrub down. One thing I love about argan oil is that it is light and non-greasy. 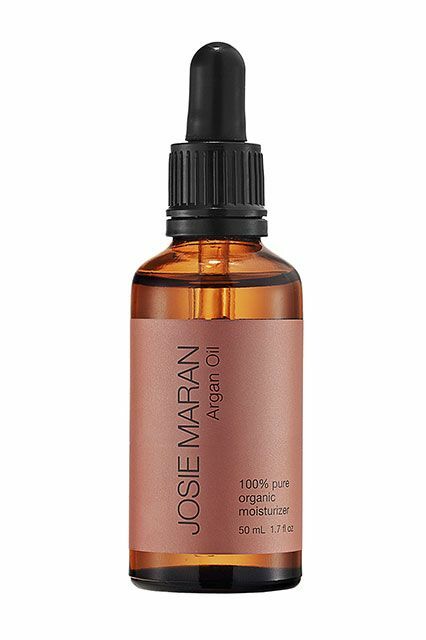 Have you tried argan oil? What did/do you like about it?